– 5 stars on Amazon. Work faster in Excel with over 200 keyboard shortcuts for both Windows and the Mac listed side-by-side on one handy card. This full-color, double-sided card is laminated for extra durability. You can buy directly from us or order from Amazon. 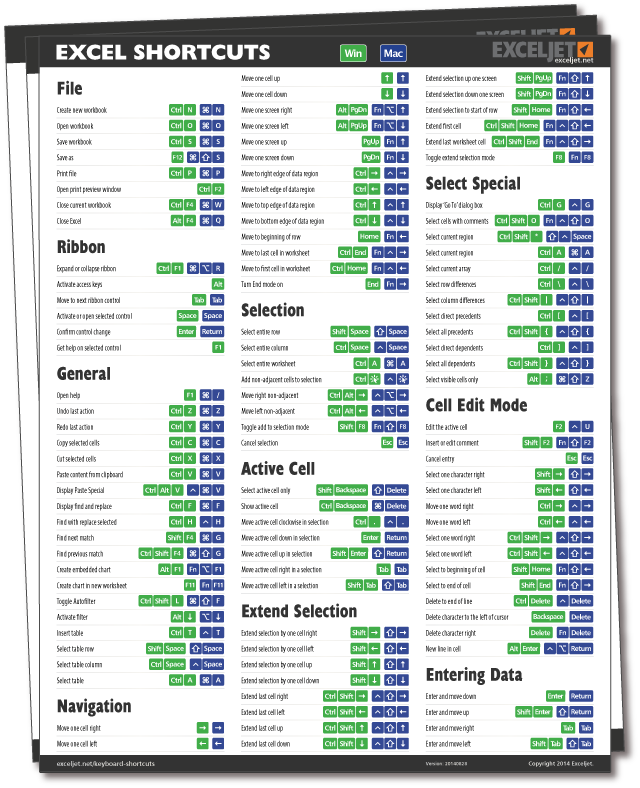 Over 200 Excel keyboard shortcuts! No computer required - learn anywhere!